From screencasting to interactive presentations, here are some resources to get a flipped class off the ground. Flipping the classroom typically requires the use of certain technology tools, whether for recording lecture content or for orchestrating classroom discussion. Jon Bergmann, a pioneer of the flipped classroom and co-creator of FlippedClass.com, categorizes these tools into four different groups: video creation tools, like screencasting software; video hosting tools; interactive tools that help professors check for understanding and foster discussion among students; and learning management systems for tying all of this together. Some products and services perform more than one of these functions — and a few do all four. FlippedClass.com includes a section with reviews of various flipped learning tools. CT talked with a number of flipped learning experts, and here are some of their top recommendations for free or low-cost tools to get you started. Doceri is a versatile app that lets you create, share, annotate and control presentations, and you can also record and share screencasts. The iPad version is free, and a Windows 8.1 version costs $4.99. Trying to record voice narration while also recording or annotating a presentation can be challenging, and Doceri simplifies this process with a timeline-based editor that lets you capture a presentation first, then go back and add voice narration where appropriate. You can also pause a recording as many times as you need. Doceri also gives you many options for uploading or sharing screencasts. You can share a screencast directly to YouTube or Facebook; send it privately as an e-mail attachment; save it to your camera roll; transfer it to your computer via iTunes; upload it to a learning management system or Google Drive; incorporate it into iBooks Author; or import it into iMovie, Adobe Premiere or other video editing software. With a $30 desktop version of Doceri, you can connect an iPad to your computer, and the software mirrors your computer on the iPad. "I use Doceri to mirror my iPad screen to the computer screen, and then I use a program called Camtasia to capture the video," said Robert Talbert, a professor of mathematics at Grand Valley State University in Michigan. 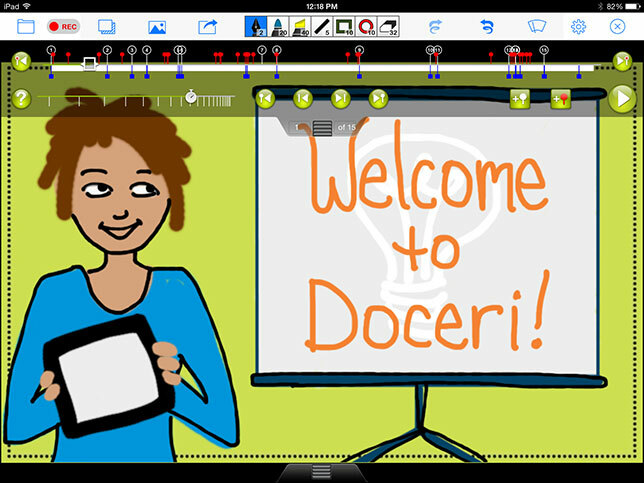 "A colleague of mine is using just the Doceri app on the iPad to create screencasts, and that costs nothing." Like Doceri, Explain Everything lets you create presentations or record screencasts to demonstrate a concept. The $2.99 app is available for iOS, Android and Windows 8.1 devices. Explain Everything allows you to import files, images and videos for use in presentations from a wide variety of formats, including PDF, PowerPoint, Word, Excel, Keynote, Pages and Numbers, as well as RTF files from Evernote, Dropbox, Box, Google Drive, e-mail, iTunes and basically any app that allows you to open these file types using the command "Open In." You can create slides, draw in any color, add shapes or text, and use a laser pointer to annotate the presentation. Then, you can export the file as an MP4 video, PDF document, PNG image or XPL project directly from your device. Explain Everything is a "go to" app for faculty at The College of New Rochelle (NY), said Emory Craig, director of e-learning and instructional technology. "It's not the only screencasting app out there, but it has definitely worked well for us," he said. For Windows users, Office Mix is a free add-on that lets you turn PowerPoint presentations into interactive online videos, complete with built-in polls, quizzes and analytics to check for understanding. Office Mix works on versions of Office 2013 or later, including the free Office 365 for educators. You can record audio or video narration to accompany a presentation —there's a "picture in picture" feature, so students can see you as you're explaining a slide — and you can use an inking tool to annotate slides as you record. You can also add polls or quizzes within a recording. When you're done recording, you can upload your mix to a free Office Mix hosting portal. From this portal, you can view, manage and share your recording by copying and pasting a URL, using an embed code or clicking a button to share via Facebook, Google Plus, Twitter, Pinterest or LinkedIn. You can also track students' responses to a poll or quiz and see who has viewed a recording. Mixes will play on mobile devices, but the interactive elements may not work on these devices. According to Bergmann, Office Mix is very useful "because it offers video creation and interaction and hosting — all in one solution." Screencast-O-Matic is a free browser-based app that lets you create screencasts from a Mac or Windows computer without having to install any software. With just one click from the Screencast-O-Matic Web site, you can bring up a screen recorder window, which you can drag and resize to anywhere on your screen. You can also record from a webcam. When you're ready to start recording, you click the record button, and all action inside the frame is recorded for up to 15 minutes. You can also pause or restart your recording, and you can upload it to YouTube or save it as a video file. Upgrading to a Pro account, which costs $15 per year, gives you additional features, such as editing tools to cut, zoom and add text overlays to your recordings. A Pro account also lets you publish to Google Drive, password-protect your uploads and run the recorder outside your browser when you're offline. Like Office Mix, Verso is another free tool that lets you add interactivity to your presentations. 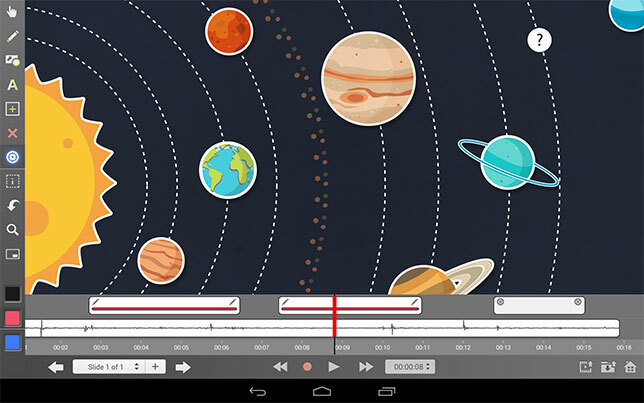 Available as an iPad or Android app, Verso makes it easy to push content to your students and gain some visibility into their questions and understanding before the next lesson. You can create what Verso calls a "flip" using video, audio or photos that you create yourself or pull down from the Web. By clicking on the "class" key, you can open a class discussion space and invite students to participate. You can also push content and questions to students with one click, view their responses in real time and star the best responses for further discussion in class. This multiplatform app "is so simple, and yet so profound," Bergmann said. "You upload a 'flip' to your learning management system, which could be a video but also a PDF or any other asset, and there is a very simple box in which you can put a prompt. It's like a discussion board on steroids. Students can see one another's responses, and they can respond to one another's responses. And you can have this great discussion." Plus, "it's all anonymous," Bergmann added. "It's not like the kid who always raises his hand gets all the attention, because nobody knows who it is. But it's not anonymous to the professor, who can see what each student is saying. The professor can also group students together and prompt them with another question, to continue the discussion and take it to the next level."